On the cut-throat streets of Tarkis, orphaned teens like Rath end up jailed...or dead. So when the shadowy Janus Group offers Rath a chance to earn riches beyond his wildest dreams, he seizes it. But the Janus Group is as ruthless as the elite assassins it controls. 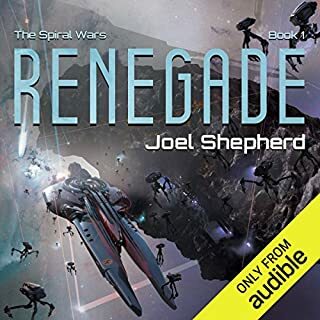 Rath will have to survive their grueling, off-world training, and fulfill all 50 kills in his contract before a single cent comes his way. And ending so many lives comes with a price Rath can't anticipate. It'll certainly cost him what's left of his innocence. It may well cost him his life. If you could sum up Rath's Deception in three words, what would they be? The main character is just a kid that is thrust in to the world and things unfold in front of us,. teaching us that decisions have a result. What about James Fouhey’s performance did you like? He's steady and shows great depth in his characters. Assuming I had an unlimited amount of time to listen to it, absolutely. I found myself in a parking lot waiting to come in from lunch on more than one occasion. 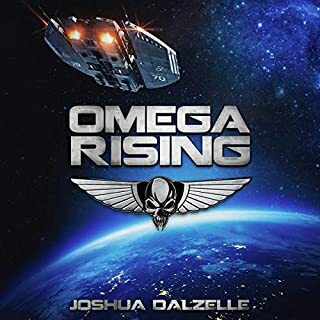 I could call this a sci fi book for people that don't love sci fi. It doesn't jam future and tech down your throat, it just uses it to tell an amazing story. I just could not get into this book. I gave it a little over 2 hours, but the plot is overdone and the characters are not interesting. The narrator did not help. 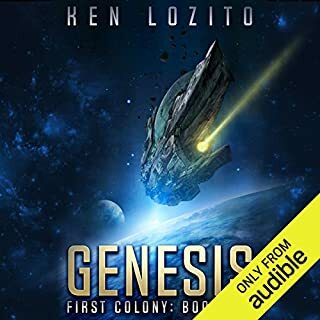 This type of story isn't usually the type of Sci-Fi that I like to read/listen to. The books I normally buy are the space battle and future military-type novels. Somehow, this one stuck out to me. All in all, having finished the first 3 books, I'm, glad it did. The story focuses around a now orphaned teenager (Rath) in the slums of a backwater world. Despite his upbringing and lack of emphasis on education, he has a keen intelligence and photographic memory. After nearly getting caught pick-pocketing a cop, he is recruited by an underground assassin's guild know as the Janus Group. After a grueling initiation and testing phase, the Group offers him the same deal that it offers everyone who passes the tests: Become an assassin for the group and agree to make 50 kills. After 50 kills, you will be given 50% of the money made from your kills (making you insanely wealthy). Refuse to become an assassin, you die. Refuse to take a job, you die. Fail to make the kill, and you die. However, assassins live a life of luxury with all expenses paid, have access to the best medical and military technology, and receive performance-enhancing implants. The deal, especially for Rath who grew up in bitter poverty, is too good to pass up. The story follows Rath over years as he makes kills on gang lords, industrial spies, revolutionary leaders, and cheating spouses. Throughout the story, the main character struggles with the moral and ethical implications of his actions, and comes to wonder how much he can actually trust the Group. Several simultaneous story lines include a reporter tracking the rumors of an underground assassin's guild, and a police detective tracking mysterious deaths and murders. I really liked all of the different future tech that the book explored. It also had so really good characters and an excellent narration. I would definitely recommend this one. Lots of suspense, great story, very good narration, and well worth the credit. Hard to get too excited for the protagonist in this story, given he is almost totally amoral. It's interesting in this far future they still have mobile phones and URLs. Mixed with flying cars and FTL, of course. This was completely different than I thought it would be from the description. I like the pace of the book and find it to be engaging. I like that the main character struggles with being an assassin instead of being the hard cold guy who justifies his actions in one way or another. The end of book one left several threads loose that promise an interesting next book. I will probably pick up book 2 when I catch up on several other series I'm behind on. Moderately interesting futuristic murder-for-hire story but too reliant on gizmos as the glue to keep the protagonist alive and successful. Also, it's fairly fast and loose with SciFi elements such as the make-all machine and Faster-Than-Light (FTL) escape vehicles. The narrator did a fine job at portraying the various characters but even that was not enough to move the book past a 3-star rating. This is an action packed and unique novel. 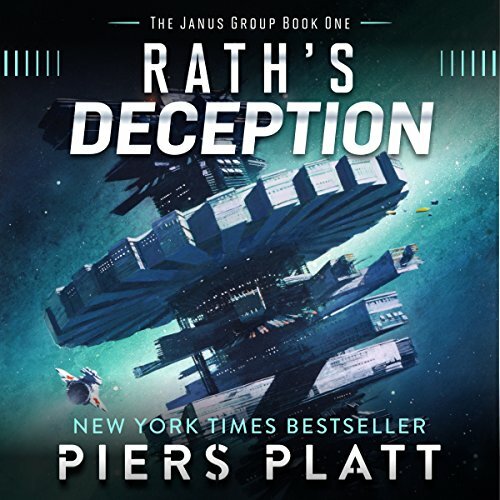 Rath’s Deception by Pier Platt is the first novel in a series called The Janus Group. After becoming an orphan at a young age and fending for himself on the streets of Tarkis, Rath is recruited by the Janus Group to become a sought after intergalactic assassin. The contract is for 50 kills. If the contract assassin survives 50 kills, then he or she is entitled to 50% of the money that the Janus group made on that contractor's kills. It’s an enticing prospect, but intense prospect for a destitute young man who has never killed anyone. 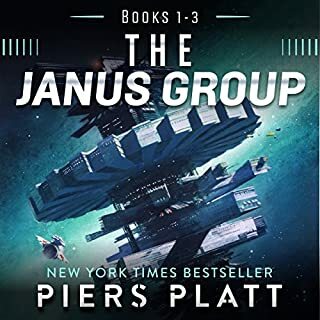 As Rath progresses through the grueling training and his kills mount, he becomes aware that there is something not quite honest about the Janus group. Simultaneously, the police are constantly on the hunt for a way to bring down the Janus group, which is essentially a group of highly trained and efficient murderers. Meanwhile, Rath must figure out a way to complete his 50 kills and retrieve the money that he was promised. This is an action packed and unique novel. I really enjoyed every part of it. Rath is trained by the Janus group to become a killer, but he is still a sympathetic character. Rath is a determined, but ultimately becoming a world weary man, focused on this one objective. However, knowing his back story makes it hard not to like him. Meanwhile, the Group only seems to become more vicious and ruthless as the novel progresses. 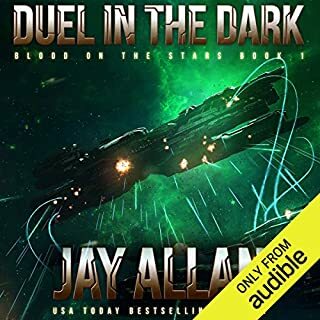 The police detective and reporter that are trying to track down the contract killers are an excellent addition to the story, because then the reader doesn’t have to hear about each of Rath’s kills and the story moves forward. I also really liked the little insights into the Janus Group’s operations that are revealed during Rath’s missions and the use of 3D printer-like technology. The one thing that I didn’t like about the novel was that it was hard to tell how much time had passed from chapter to chapter. Overall, it was fast paced and action packed story. The narration by James Fouhey was well done. Each of the characters was distinguishable and the voicing fit the characters. The production quality was good as well. I would recommend this story to anyone who likes action packed stories about rebel assassins mixed with a police mystery. May appeal to mystery buffs. Has Rath's Deception turned you off from other books in this genre? Not turned me off. But no more books by Piers Platt or narrated by James Fouhey. A more professional narrator would have helped. I found Fouhey to be too monotone in his delivery. Disappointment in time wasted by listening to the entire book. Not a fan of author's writing style. Not a fan of the narrator. Story was not detailed nor interactive enough for this reader. What made the experience of listening to Rath's Deception the most enjoyable? some times a good shoot 'em up is just the ticket. Pulp sci-fi with a noir mystery feel. I felt like this one delivered on the premise of the blurb. The story was mostly told from the POV of Rath, an assassin, and those segments of the story had the feel of an action thriller. There was additional POV's from a police detective and a journalist and those segments of the story had a noir mystery feel to them. This was light action sci-fi. The story was interesting and the pacing was decent. The flaw that held this back from being a better book was the fact that I never really managed to form an emotional investment with any of the characters. All in all I felt like this was an OK listen and worth the bargain price I paid for it. The big bonus was the narration. I felt like James Fouhey gave an excellent performance. He dealt equally well with the general narration and voicing characters of both gender. Hello to a future version of Jason Bourne. Cool. 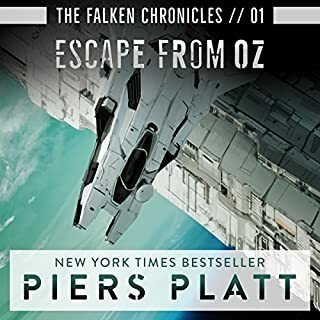 Would you listen to Rath's Deception again? Why? Yes. And soon. This is fresh, inventive and absolutely captivating. Rath, orphaned, is sold the idea of joining a super-secret organization of highly-lethal assassins. His task? Get 50 confirmed kills and he gets 50% of the monetary rewards. The only thing is, he can't get caught and he can't fail, regardless of the assignment. Can he make it to 50, and can he trust his employers? Wow. I love the technology and also the authors experience and military knowledge. I enjoyed the occasional glimpse into the control room where The Group was monitoring all of its contractors/assassins. There was something fun about getting that inside look, and I liked how those scenes also told us a little about what the other contractors were doing. I’m very excited to see how things play out with the other two contractors who have been introduced to the story, particularly Contractor 339. Which character – as performed by James Fouhey – was your favourite? Rath. A smart kid with a perfect memory. He doesn't like killing but it's his only way out. A great character. The worlds are well planned and Rath is a complex character. We feel sympathy for him even as he does terrible things because we see the price he pays for his actions. Glorious cyberpunk and an assassin you can root for? Loved it from start to finish.